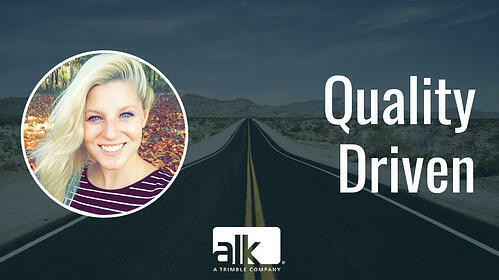 Though Kristen has only been with ALK for a few years, she has made a great impact on the company. If you work in the Princeton office or have even visited, most likely Kristen was there to greet you with a smile and a happy hello. Kristen wears many hats and is always willing to lend a hand if someone needs help. We are so lucky to have Kristen on our team. Why do you feel what you're doing is important? We spend a great amount of time at work and I think that it’s extremely important to make sure our employees feel engaged and enthusiastic about coming here everyday. I strive to make sure our employees feel this way, especially our new hires. It’s also important that we continue to hire individuals that not only have the right skills, but fit our unique culture as well. Why do you like working here? I love working here because of the people. I have had a chance to meet and learn from some really great people from various different backgrounds and continue to learn from them everyday. What has been your biggest learning experience while working here? One of the biggest learning experiences was really understanding the in’s and out’s about each position in the company and being able to articulate that when recruiting candidates. What are three words you would use to describe ALK? Innovative. Flexible. Fun. What is your motto or personal mantra? You are a catalyst to your happiness. What is the nerdiest thing you do in your free time? I’m obsessed with watching murder/mystery documentaries. Currently watching The Staircase on Netflix- highly recommended! Thank you Kristen for making our company a little better today than it was yesterday.